Solo exhibition Hutong Whispers coming up at Drugo More. Very happy to have the chance to present the work that I developed during my Beijing residency at I:projectspace last year. 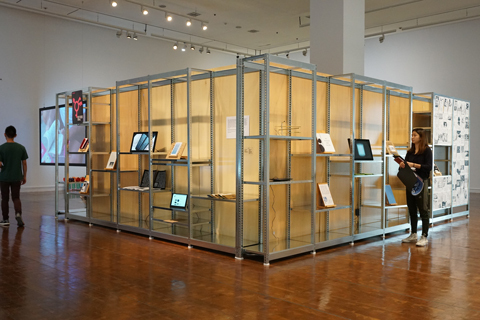 For the Seoul Mediacity Biennale 2018, Monoskop Exhibition Library explores the notion and medium of 'art catalogue'. Twenty nine works including Thunderclap appears in this collection. 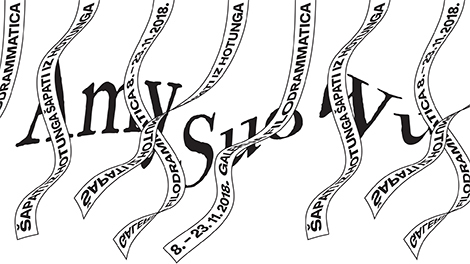 Invitation by Olia Lialina to host a week's workshop at the Merz Academy in Stuttgard. 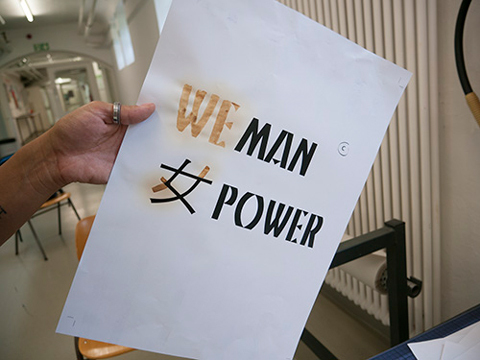 Similar to the workshop at KABK, we experimented with various invisible inks, Cardan Grilles, QR codes and coded language as the practice of questioning surveillance, social invisibility and censorship. The result of the workshop were placed around the school and documented on a map drawn with invisible ink waiting to be activated. It was a pleasure to spend 4 days with graphic design students at The Royal Academy of Art, The Hague. 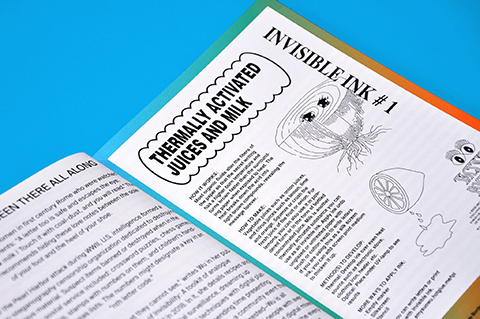 We experimented with various invisible inks, Cardan Grilles, QR codes and coded language as the practice of questioning surveillance, social invisibility and censorship. Greetings from the Invisible Borderlands by Madeleine Moreley. A feature article on my steganography practice in the first printed magazine of Aiga Eye On Design. Includes a bonus Cardan Grille as a steganographic intervention. 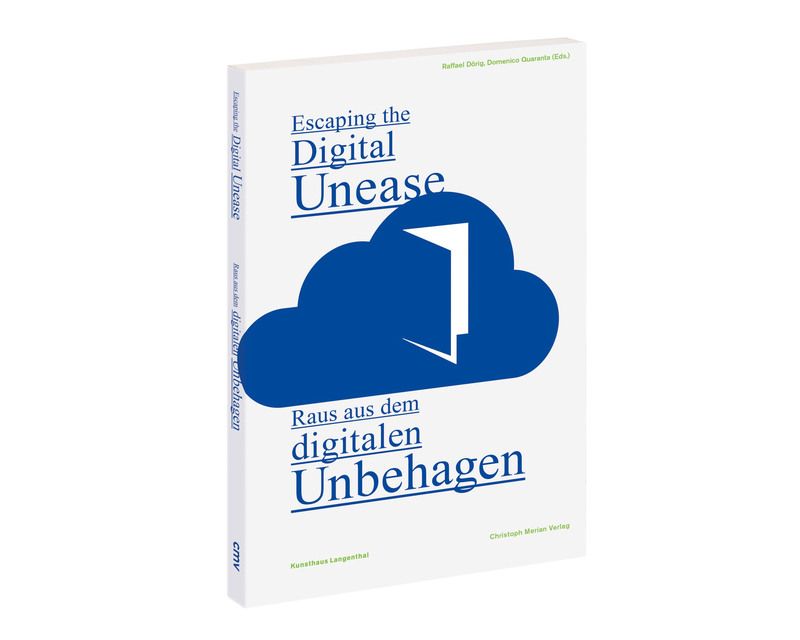 A Media Archeology of Steganography is featured in the catalogue 'Escaping the Digital Unease' with essays by Raffael Dörig, Paul Feigelfeld, Claire Hoffmann, Marie Lechner, Domenico Quaranta and Felix Stalder. It was made for the occasion of the show with the same title. Participated in The Influencers Festival this year. 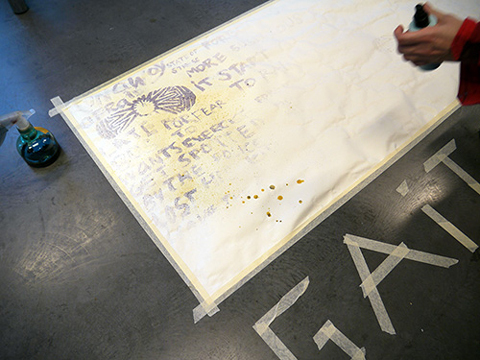 I gave a talk about The New Nushu/Thunderclap project and hosted an invisible ink workshop. My work "Greetings from the invisible borderland" has been nominated for the Crypto Design Award. 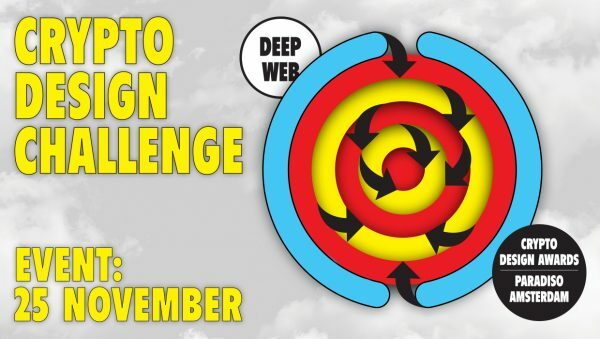 Text from the site: On the 25th of November, we explore new images of the Deep Web with designers, artists and researchers at the Crypto Design Awards in Paradiso, Amsterdam. We exhibit the nominated submissions, and a professional jury will choose the winner of the Crypto Design Award (€1250). The audience can also vote on their favorites for the Audience Award of €750! We received 36 submissions, and today the first selection has been made. All 16 nominees will be presented during the Crypto Design Awards. Feeling humbled to be invited for a solo show called "The Kandinsky Collective" on the 18th Jan 2017 at Aksioma Project Space, a contemporary art space dedicated to various artistic practices and diverse new media art projects which aim at hacking the role of mass media in contemporary society through various mediums interpreting the narratives in subversive, critical, or ironic manner. 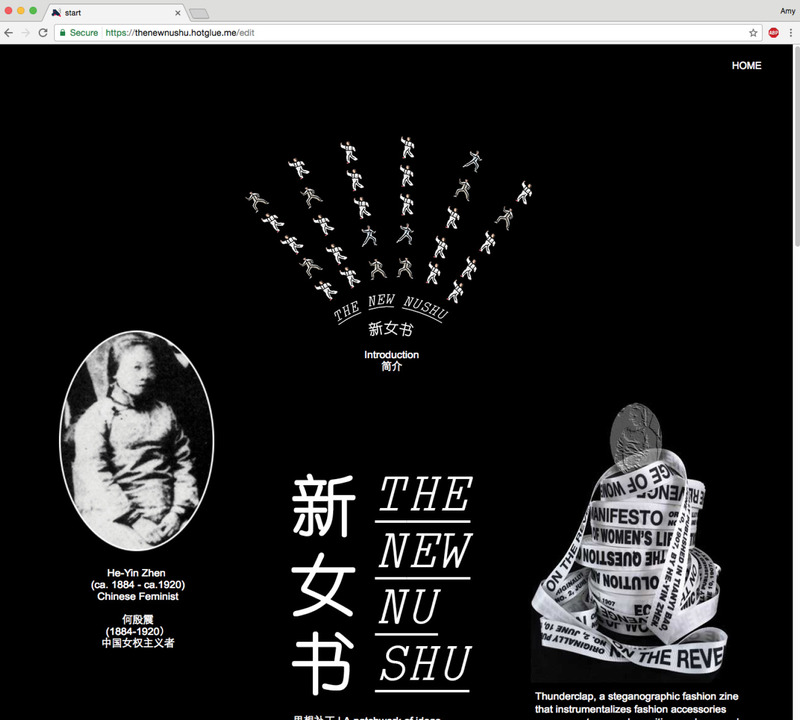 ‘The New Nüshu’ is a framework developed during my artist-in-residency at I:projectspace to explore Chinese feminism, language politics, steganography and publishing in the context of China. The project Thunderclap is the first manifestation of The New Nushu. Tactics and Poetics of Invisibility is a research on steganography, the art and science of being hidden in plain sight, and how analogue forms of steganography could make up for deficiencies of digital communication and provide a possible solution to more secure communication in the age of pervasive online surveillance. Historically speaking, compared to cryptography which was considered more scientifically sophisticated as it was primarily a mathematical endeavor, steganography was its dark cousin, elusively steeped in alchemy, magic and mystery. 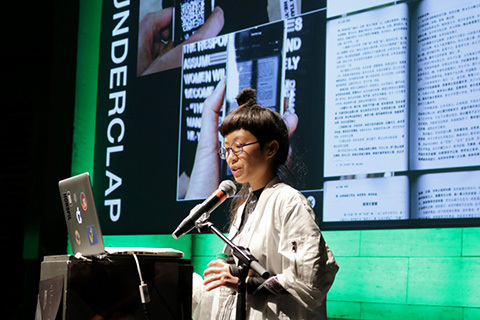 Through analogue forms of steganography it aims to explore the practical act of evading the digital gaze on one hand and on the other hand explore the poetic and creative potential in forming alternative modes of communication to strengthen community bonds. 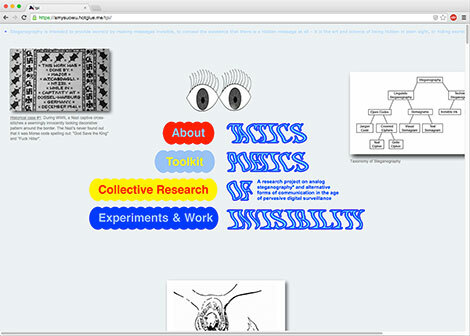 This project includes various components such as a toolkit, collective research and own artistic experimentation. 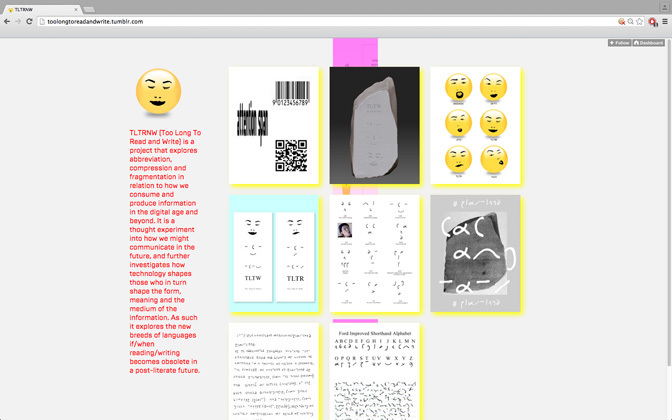 TLTRNW (Too Long To Read and Write) is a project that explores abbreviation, compression and fragmentation in relation to how we consume and produce information in the digital age and beyond. It is a thought experiment into how we might communicate in the future, and further investigates how technology shapes those who in turn shape the form, meaning and the medium of the information. As such it explores the new breeds of languages if/when reading/writing becomes obsolete in a post-literate future. Ongoing project officially since 2013 and unofficially since 2010. Holy Crapparel is for re-used material, DIY practices and the makeshift. I also designed the website in a way that shows the relationship between 3 important steps of how my practice: finished work shows what I did, process shows how I developed the project and references shows what I was inspired by. Darija Medic did a wonderful job building and realising site. You can visit the website out here. 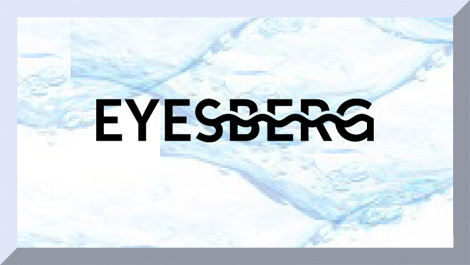 Together with Tim Braakman, I co-founded Eyesberg, a graphic design studio motivated by conceptual and experimental approaches. 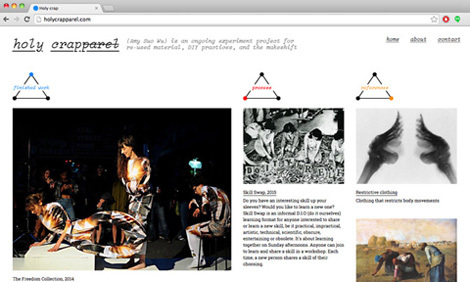 Over the years we've worked on projects with WORM and WORM Parallel University, Klangendum (experimental sound studio), Underbelly (nomadic shop for experimental sound, art and media) and conceptual artist Dennis de Bel.